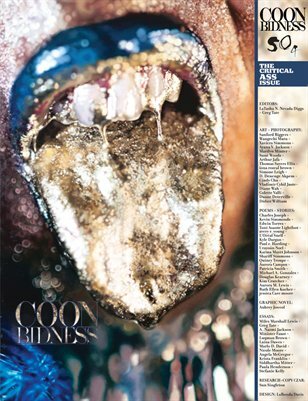 An African American oriented visual arts and literature journal containing essays, fiction, poetry and art by some of the most visionary talent around today. Founded and edited by writers and musicians Greg Tate and LaTasha N. Nevada Diggs, CoonBidness was named after an album by the conceptual jazz composer Julius Hemphill. The magazine hangs out dirty laundry and celebrates a renegade African cosmopolite spirit in a well - woven series of surreal short stories, Facebook threads, poems and scintillating visuals.